Please Save My Seat For Jan. 30! And all workshops in the series! 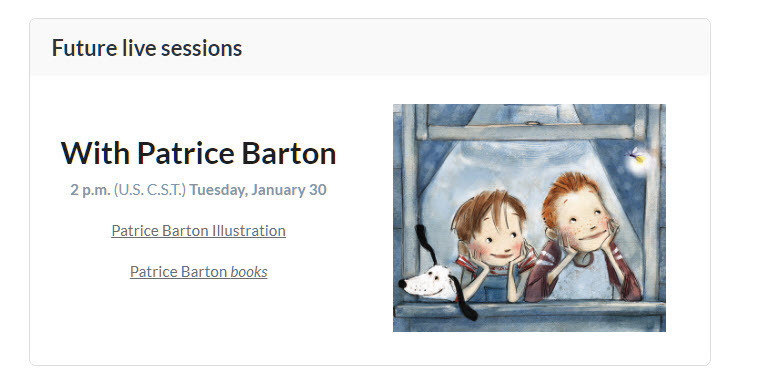 Patrice Barton has been illustrating professionally since graduating with a BFA from the University of Texas at Austin. 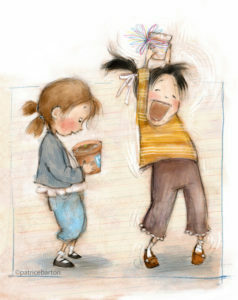 Some of her recent picture books are The Invisible Boy by Trudy Ludwig and I Pledge Allegiance, by Pat Mora and Libby Martinez, both published by Knopf Books for Young Readers and The Year of the Baby by Andrea Cheng, published by Houghton Mifflin Harcourt. 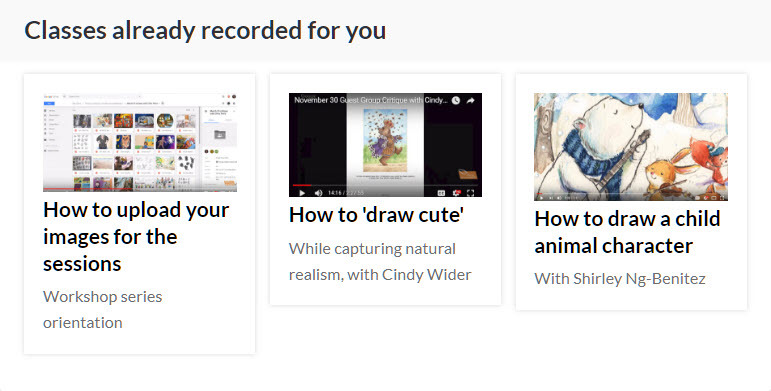 When you register for Patty's session, you'll receive details on where and how to upload your sketches and participate in Patty's and the remaining live classes. See more Patrice Barton books. As Patty explains in the video, your assignment for Jan. 30 is to sketch one or more characters focusing on gesture to tell a story. 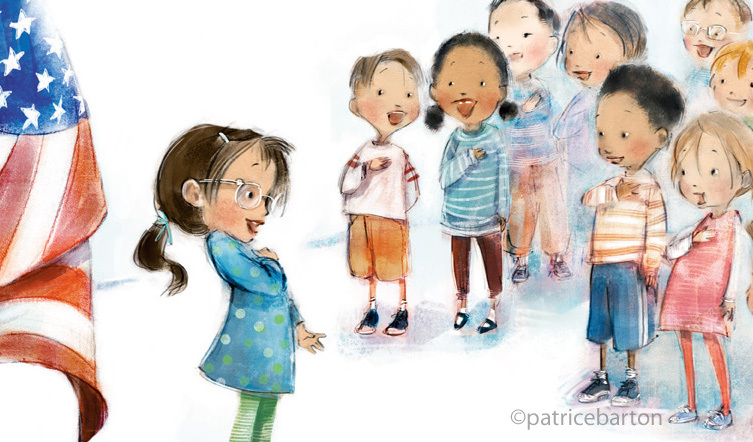 In her class, Patty will pick 10 pieces from the group to speak to while she shares her secrets about drawing and painting children for the books she's illustrated for the past 15 years. You can download and save the PDF with her class assignment here. Please Save My Seat For Jan. 30 And all workshops in the series! 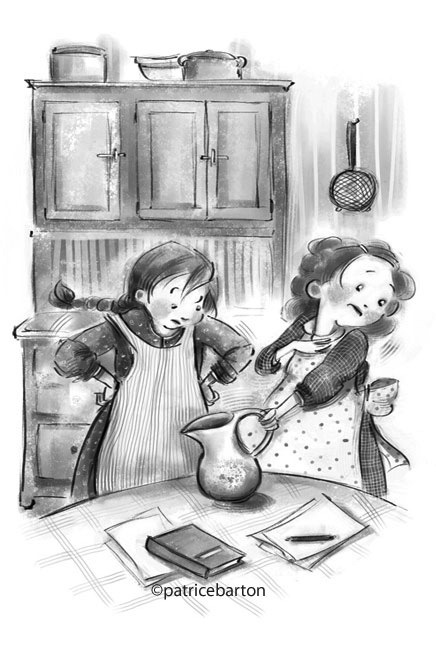 Our guest critiquers – illustrators, author-illustrators, children’s literary agents, art directors, sometimes an editor – examine your artwork in a spirit of teaching and mentoring. 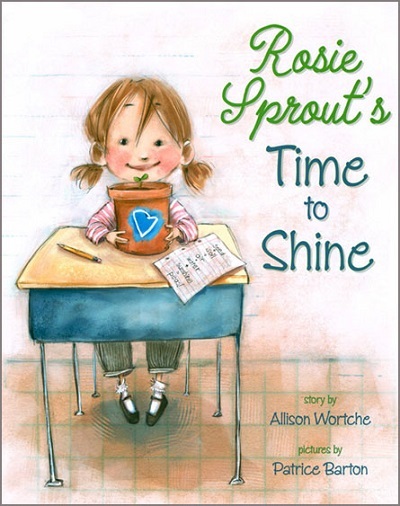 That upcoming SCBWI conference, promotional mailing, portfolio prep, online gallery posting, or sit-down with a client. Critiques with practice dramatically speed your progress as you learn to wisely navigate the hierarchy of feedback – what’s valid for you now vs. what can be set aside. A jolt of art school in the comfort and convenience of home! 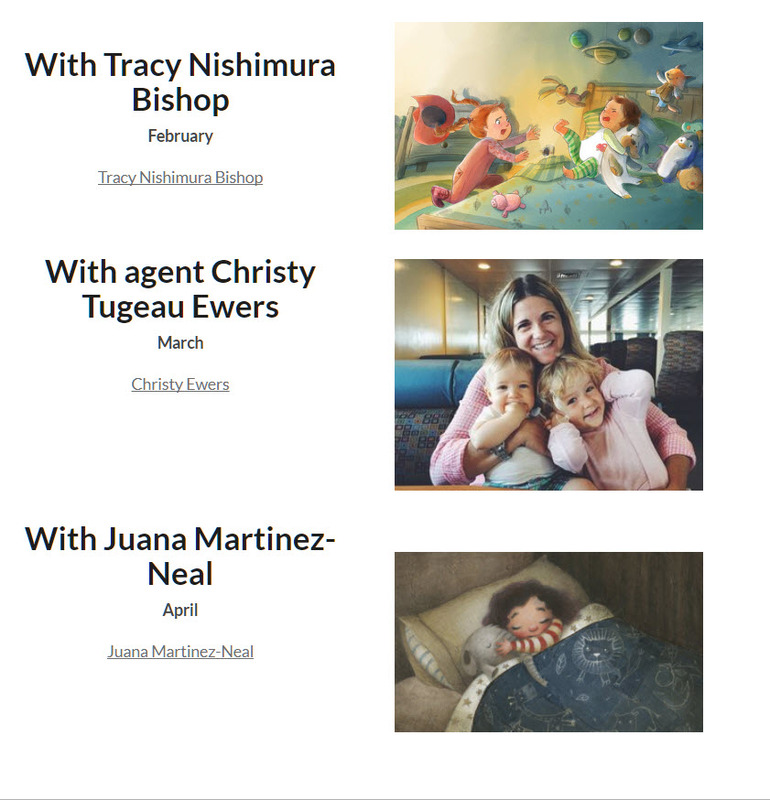 Secure your spot at the table with these fine artist-teachers while they're available to you in this extremely affordable workshop series.